Are you looking for a yummy crock-pot recipe? 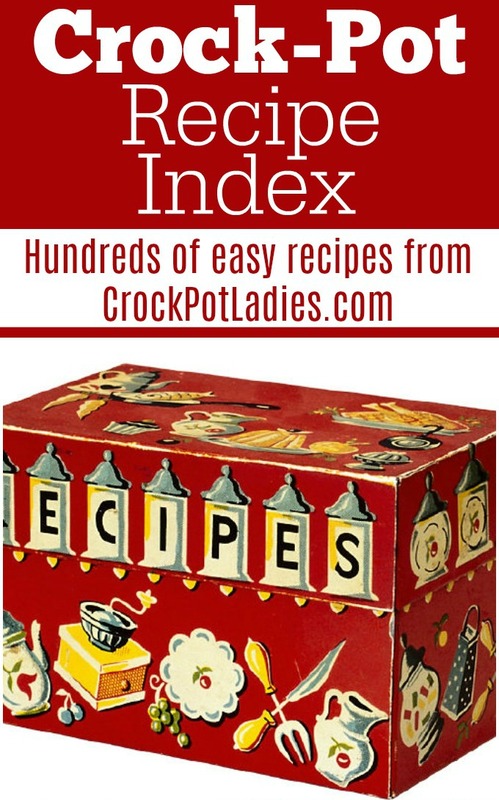 Browse our entire list of all slow cooker recipes in our handy-dandy Crock-Pot recipe index. Look through over 700 delicious slow cooker recipes for everything from appetizers to soups and everything in between! Get the party started with this awesome collection of slow cooker appetizer recipes! We have something for everyone from meatballs to chicken wings! Quench your thirst with this yummy collection of slow cooker beverage recipes. We have some great hot beverage recipes like hot chocolate and mulled apple cider or we have our super popular adult beverage moonshine recipes! From banana bread to zucchini bread and some other great slow cooker bread recipes you are sure to find something delicious to bake in your crockpot! Start your morning off right with these tasty breakfast slow cooker recipes. Pick from a breakfast casserole to a quiche. Something sweet or savory! Did you know you can make jelly, jam, fruit butters and more in your slow cooker and then can them up in mason jars for long term food storage? With this collection of slow cooker canning recipes you are sure to find something tasty! Do you have a sweet tooth? If so, then you will want to check out this great collection of yummy slow cooker dessert recipes. We have everything from dump cakes to brownies and tons of sweet options in between! Grab your favorite chips or crackers and make up a warm slow cooker dip. Your party guest will be impressed with any of these warm and tasty dip recipes! We specialize in easy dinner recipes and this collection of slow cooker entrees will no disappoint. You are sure to find something to make for dinner here! We love having some slow cooker freezer meals ready to go in our freezers for days that are busy. These recipes are easy to assemble into freezer bags and pop them into your freezer so you can cook them whenever you have a crazy busy day! From spaghetti sauce to caramel sauce here you will find all sorts of slow cooker sauce recipes that taste amazing! While not slow cooker recipes themselves this collection of seasoning mixes are some of our favorite seasonings to use in our slow cooker side dishes. From homemade ranch dressing mix to taco seasoning and more! Do you need a slow cooker side dish to go with your dinner? We have everything from mashed potatoes to great vegetable dishes that will pair well with any meal! Cozy up to a warm bowl of homemade slow cooker soups & stews. From chicken noodle soup to beef stew and more!